Sleep apnea is a condition that people are often not aware they have but can cause a significant number of physical and mental symptoms. People with sleep apnea never get a good night's rest and can develop sleep deprivation. If left untreated, this sleep disorder can lead to serious complications, and it can even be life threatening. Despite its dramatic symptoms, sleep apnea can be hard to identify. Knowing what to look out for will help you identify whether you should consult with your doctor and seek out treatment. The most common symptoms related to sleep apnea are listed below. 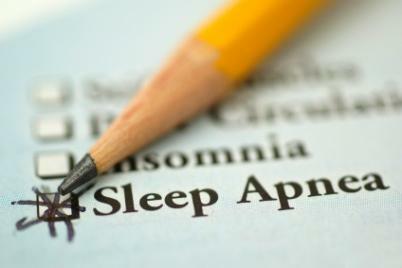 People with sleep apnea frequently stop breathing during their sleep. The brain typically sends impulses to restart the breathing process; this can occur many times during the night. In more severe cases, the pauses can last up to 90 seconds each. The difficulty with this symptom is that often you cannot recall it in the morning. On the other hand, your sleep partner may start noticing repeated silences from your side of the bed. If your partner is awake while you are sleeping, and notices your breathing stops frequently during the night, the chances are high you could be suffering from sleep apnea. In many cases, sleep apnea is a result of a blocked airway. This can be caused by excessive tissue at the back of the throat. Once your brain wakes you up enough to restart breathing, the large intake of air can cause vibrations in the excess tissue, which results in loud snoring. The snoring is often worse when sleeping on your back and you may not snore every night. As time goes on, the snoring will continue to get louder and louder. Although on its own excessive snoring cannot just be attributed to sleep apnea, in combination with other symptoms, it can help diagnose the disorder. Snoring is generally the first symptom noticed by a bed partner. Cessation of breathing also comes with choking or gasping for air to get some oxygen back into your lungs. This is a point where some sleep apnea patients actually wake up. The brain is very sophisticated though, and most of the time your level of consciousness wakes up just enough to start breathing again. Most people will not fully wake up, and as a result, you will wake up in the morning believing you slept right through the night. After periods of apnea, you might wake up in a sweat because you are working harder to breathe. When this happens often during the night, and many nights in a row, think about whether any of the other symptoms also point toward possible sleep apnea. Because you are constantly waking up throughout the night to breathe, you only enjoy fragmented and poor quality sleep. As you are sleeping so lightly during the night, you are still tired in the morning, despite having "slept" all night. Feeling drowsy in the morning after a full night's sleep -also called daytime sleepiness- is one of the more innocent symptoms. People with sleep apnea frequently have such extreme forms of daytime sleepiness that they fall asleep at inappropriate times, such as when driving or at work. The repeated interruptions during sleep in people who have sleep apnea makes it very difficult to get the restorative sleep they need each night. This can lead to mood swings during the day. You may feel more irritable, impatient or depressed; these feelings may impact your relationships with your partner, your children, friends, coworkers, and other family members. The lack of sleep can lead to problems with concentration and memory over time. Your attention span may also be affected; this may impact your work performance or relationships with your family. As most symptoms can go unnoticed for some time, the daytime symptoms often hint to sleep apnea first. Together with feeling sleepy in the morning, sleep apnea can cause morning headaches, a dry mouth and sore throat. There are many strategies to deal with sleep apnea. Most importantly, it is to get a proper diagnosis first to determine what type of sleep apnea you have. The most common treatment is the CPAP machine. Surgery can also be an option, all be it much less common. Don't hesitate to seek help for your sleep disorder. The benefits of treating a sleep disorder are immense, and a good night's rest is just the start.